We’d love your help. Let us know what’s wrong with this preview of Living Out Islam by Scott Siraj al-Haqq Kugle. To ask other readers questions about Living Out Islam, please sign up. 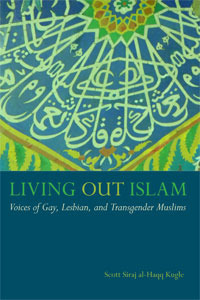 A look at and interviews with at 15 'activist', gay, lesbian, and transgendered Muslims, living in countries with democratic institutions and social systems with a secular separation between political rule and religious belief, as they attempt to find ways to live out Islam with dignity and integrity, reconciling their sexuality and gender with their faith and recreating and reclaiming Islam as their own. These are only stories of LGBTQ Muslims connected to activist organizations in the US, UK, Canada, Netherlands, and South Africa.